Cultivating a man’s personal style by delivering hand selected, high quality clothes straight to his door. We collaborated with Men’s Style Lab to help them build their online presence and backend application from the ground up. This was a large, enterprise-level project, which required a robust application that could manage thousands of inventory items, in addition to processing and tracking hundreds of orders and deliveries each day. Men's Style Lab was at a critical juncture in the growth of their business, and we worked closely with them to reassess and transform their business model. 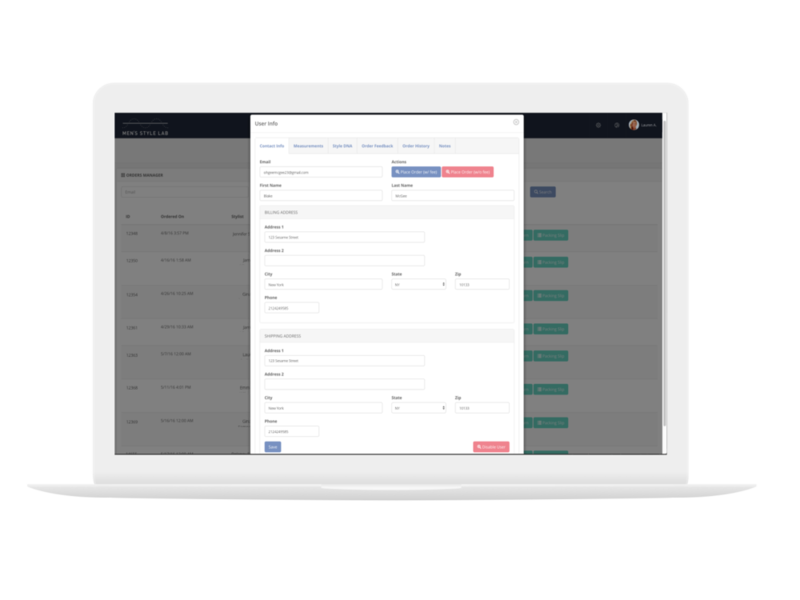 After helping them define what they’d like to see from a new website and backend application, we built an elegant solution that can scale as their customer base continues to grow. Men’s Style Lab needed a cohesive backend system that enabled them to properly manage and track their inventory, orders, logistics, and payments, as well as a frontend website that provided an easy-to-use portal for their customers. 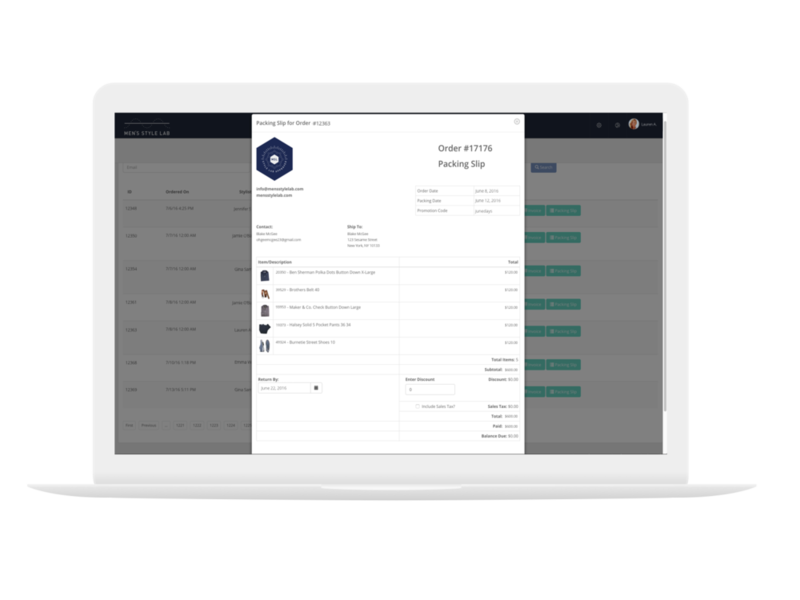 We designed and developed a custom inventory, order, and logistics management system that better serves their business model and can scale with the needs of their customers. We also helped Men’s Style Lab define and develop a subscription-based service that allows them to better serve their growing customer base. And we designed and built a frontend website that fits the Men’s Style Lab brand and allows people to easily log in and manage their orders through a customer portal. Since launching the new website in the summer of 2015, Men’s Style Lab has acquired thousands of new users, built a substantial subscription user base, and has been featured by media outlets nationwide, including Forbes, Men’s Health, and Mashable, to name a few.